The Beat staff, like most of Hopkins, enjoys bake sales. Hopkins bake sales are especially rewarding because we get to enjoy a sweet treat while supporting a worthy cause. We wondered what the best selling treat would be at a Hopkins bake sale. To find out, we turned to the palettes of Barbara Riley, Head of School, and John Roberts, Assistant Head of School. To carry out our study, each of the four Beat staff members baked an item. Each of our items were then tasted and evaluated by Riley and Roberts. Riley and Roberts consider themselves very fitting judges for such a contest. Roberts said, “I can think of no one more qualified to judge baked goods than me, if the quantity of previously consumed baked goods is grounds for high qualification.” To this, Riley replied, “I do take issue with Mr. Roberts’ claim that there is no one better qualified than he to judge the quality of fine baked goods. He may win on the appetite front, but I have several shelves of cookbooks devoted exclusively to desserts.” Going into the contest, we knew it would be a competition in more ways than one. The first dessert tested was the buttery blondies made by Olivia Capasso ’19. 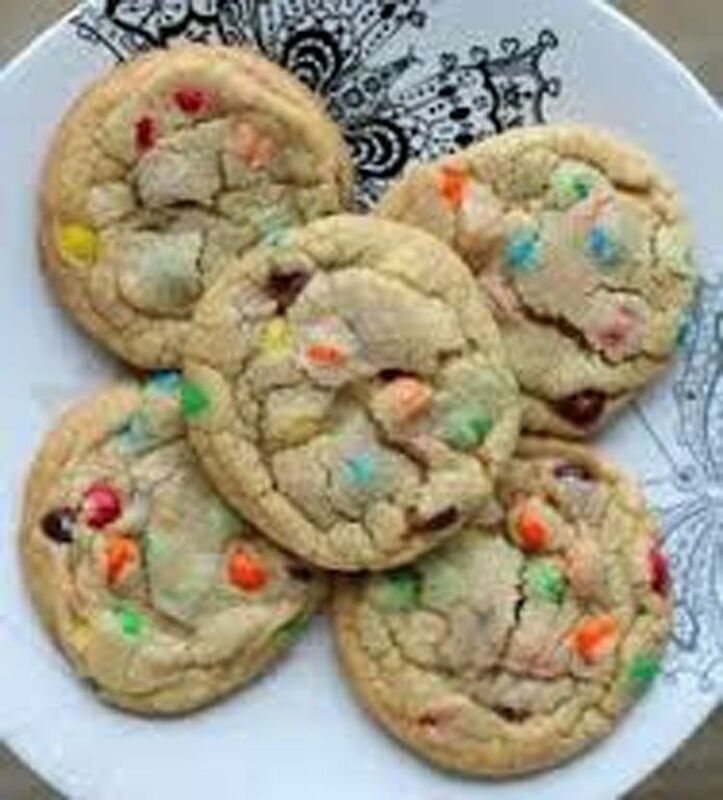 Capasso said, “The blondies were delicious and easy to make since the preparation and baking took about 30 minutes collectively.” While tasting the blondies, Roberts said, “They’re very buttery. I think the ratio of the chocolate to cake is good, it’s a nice balance. I’d definitely go back for a second.” Riley said, “I like the crunch, the slight dryness to it. I like the texture that you see. If you like a cookie-like- as opposed to cake-like-brownie, these are very good. I like the uniformity of the presentation: you could pretty much have picked up any one of them and gotten the same experience. I also really like that it’s not too sweet.” Roberts and Riley ultimately decided to award the blondie “Best Dunkability,” meaning it would be the most delicious of the items when dipped into a glass of milk. The second dessert was Sara Chung ’19’s chocolate brownies, which she really enjoyed baking. She said, “I was more than satisfied with the chewy and delicious brownies, which took only 20 minutes, plus baking time.” Riley said, “They look very chewy and they’re very easy to cut. They have a really nice texture. They too are not too sweet, which I like. 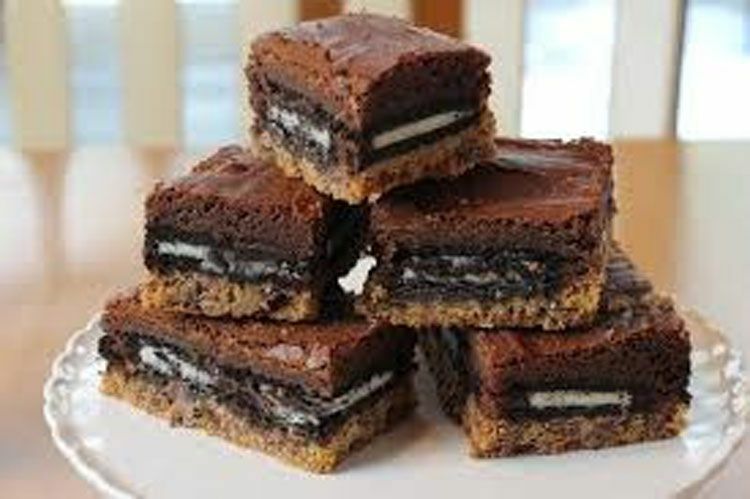 Some people make brownies that are overwhelming at the first bite but these are not.” Roberts commented,“They’re rich, chocolate-y and soft, which is great. You wouldn’t know from a first glance that they have chunks of chocolate, so that’s a nice surprise. The ratio of the interior chocolate chunks to the brownie is also good, there’s not too many of them. Not the most creativity points, but sometimes you can overthink it, and I’m a fan of just making brownies and doing it right.” Chung’s brownies were awarded “Most Likely to Buy at a Bake Sale,” because of their simplicity, appearance and rich taste. The last item in our taste test was Ellery Saluck ’17’s M&M and Peanut M&M cookies. Saluck said, “My cookies didn’t even take that long to make. I used M&Ms for that pop of color that chocolate chips simply don’t have.” After sampling the peanut M&M cookies, Roberts said, “As much as I love peanut butter, I’m not usually the biggest peanut cookie fan, so I would go for the chocolate one normally.” However, as soon as he bit into a chocolate one, he was sold, commenting, “These are super soft and they have great eye-catching colors.” Riley also preferred the plain chocolate to the peanut cookies: saying, “These have good texture and I always love how cookies like this have their own fault lines, the cracks that develop in their baking.” Saluck’s treat won “Best Appearance” due to its bright, eye-catching colors. Overall, the tasting was both pleasurable and informative. We enjoyed baking our items, which we each thought were relatively quick and easy to make. However, the best part of the experience was certainly the Roberts vs Riley face-off. Throughout the tasting, they poked fun at one another and truly enjoyed themselves, ultimately deciding that the chocolate brownie would be their go-to bake sale item.